Chester extended their unbeaten run in the National League North to eight games, as hat-trick hero Gary Roberts scored a dramatic 94th minute rebound – to beat Alfreton Town 3-2 at the Swansway Chester Stadium. Gary Roberts’ fourth minute penalty was quickly cancelled out by Reece Styche, before Bobby Johnson converted a free-kick on the edge of the box to give the Reds leeway. The Blues, though, were handed a lifeline as James Clifton was shown his marching orders for a late challenge on Gary Stopforth in the Chester area and this finally proved meaningful in the second half as Roberts secured his brace with a beauty of a top-corner volley from 20-yards. 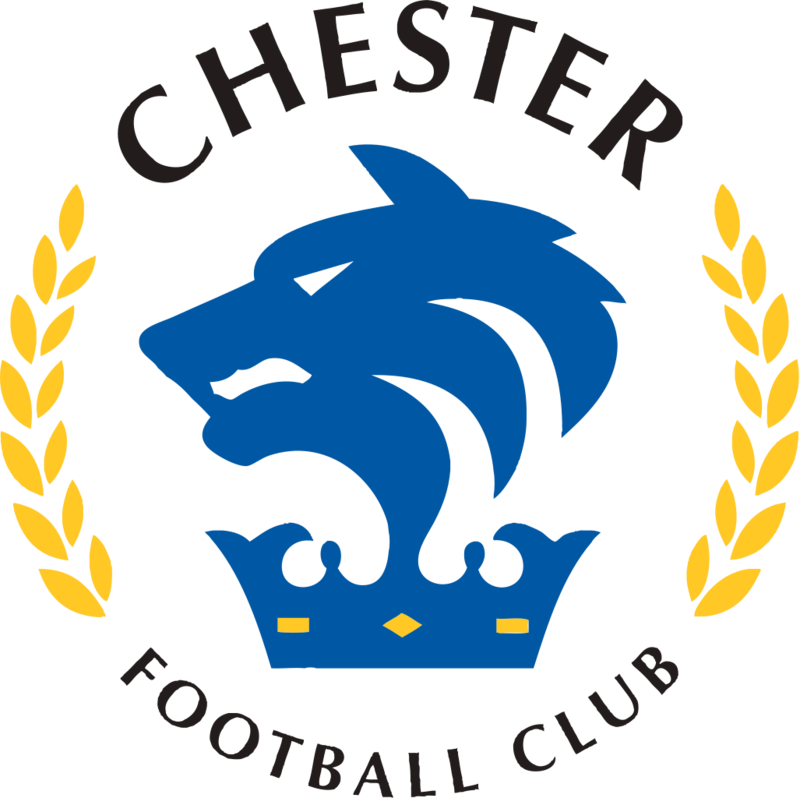 Steve Howson provided a late scare for Chester as he tangled with Craig Hobson late in the second half, reducing the Blues to 10-men, but a foul on debutant Mani Dieseruvwe in the 18-yard box gave Roberts the golden opportunity to net this hattrick. Despite having his penalty saved, he tapped home the rebound to win the home side a most valuable three points. Dan Mooney and Deane Smalley were recalled to the lineup in place of Luke Jordan and John Pritchard, with Dieseruvwe on the bench. The Reds, on the other hand, featured a familiar name to Chester ears in Craig Hobson on their substitutes bench, as top scorer Johnson earned another start. Top scorer or not, though, it was the hosts who started faster and earned a penalty in the opening few minutes. Craig Mahon ventured on a mazy run down the left channel, leaving a red shirt on the floor before a slight shove in the back left the Irishman down in the 18-yard box. Captain Roberts, who had already scored twice from the spot this season, made no mistake in sending ‘keeper Sam Ramsbottom the wrong way and the Blues into an early advantage. Yet just minutes later, on seven, the Seals were pinned back the other way. A long-ranging header in behind the Blues defence found one of Alfreton’s plethora of midweek additions, Styche, who tucked his effort beyond Grant Shenton to complete quite the dramatic opening ten minutes. Chester attempted to weave their way to a response, but after several refereeing decisions against them, Alfreton star man Johnson curled a free-kick from 20-yards into the far corner, out of the reach of Shenton to complete the visitors’ turnaround, the striker’s fifth of the season. ‘Nothing’s ever dull at Chester’ is perhaps a saying seen in abundance over the last two years down the Deva and another major incident, this time on 24 minutes, would go a long way to support that statement. Clifton for the visitors wound up sliding in on Stopforth on the edge of the box following a corner. After appeals from players and supporters alike, the Derbyshire-outfit were reduced to ten men as referee Benjamin Speedle brandished a red, Josh Clackstone brought on to make up for the Reds’ defensive casualty. Then on half an hour, Alfreton could well have been reduced to nine. Stopforth, in the wars again, was brutishly taken out on halfway, although Speedle felt it only necessary to reveal yellow to Nathan Hotte. It would be fair to argue that challenge was worse than the first just moments before. Despite their newfound man advantage, the Blues were dangerously lacklustre for the remainder of the first half. Their best chance came from a well-worked piece of play from Mooney, Chester’s seven played a delightful ball into Anthony Dudley but the Salford City loanee was just a tad offside, the ball trickling into the back of the net to no avail. First blood in terms of chances fell with goalscorer Roberts in the second 45, Chester’s captain curled agonisingly wide from the edge of the area to get the Blues faithful in the mood. Mooney was then pulled down on the hour mark but, despite appearing the last man, defender Josh Wilde was only cautioned rather than ejected, much to the dismay of the support. Anthony Johnson and Bernard Morley employed an offensive state of mind in switching to a three-back with Pritchard subbed on to the play wing-back, whilst Dieseruvwe was introduced to the Swansway for the first time after his loan signing from Salford City on Friday. This decision proved dividends, as a ricocheted ball fell to Roberts who smashed a volley first-time, as far into the top corner as he possibly could have, from the edge of the penalty area! The Blues were level, sumptuously so. Momentum was firmly with the hosts with twenty minutes left running on the clock. Ammies loanee Dudley combined with his counterpart Dieseruvwe, squaring the ball on a plate but the debutant mistimed his effort and scuffed the ball away from goal. Next, centre-half Jon Moran almost netted, somehow, a better strike than Roberts, lacing the ball against Ramsbottom’s crossbar from 30-yards! Despite their dominance, the hosts were then too reduced a man as Howson tangled with former-Blues forward Hobson, the contest evened up in more ways than one with ten minutes remaining. Curtis Bateson’s resulting free-kick was tipped over phenomenally by Shenton. With four minutes added on, Chester were dramatically granted a last-minute penalty. Roberts stepped up, four goals this season, three from the penalty spot, two today. Incredibly, Ramsbottom was down low to save his spot kick but the midfield general turned hat-trick hero as he tapped his rebound into an empty net to complete the most unbelievably dramatic of league fixtures, and secure the Blues a hugely important three points. The Seals are back in league action this Tuesday night as they square up to newly-promoted Ashton United at the Swansway, having now extended their league unbeaten record to eight, and remain without defeat on home soil. CHESTER: Shenton, Dom Smalley (Pritchard 64), Grand, Roberts, Moran, Howson, Mooney, Stopforth, Dudley (Thomson 90+7), Deane Smalley (Dieseruvwe 64), Mahon. SUBS NOT USED: Murray, Jordan.